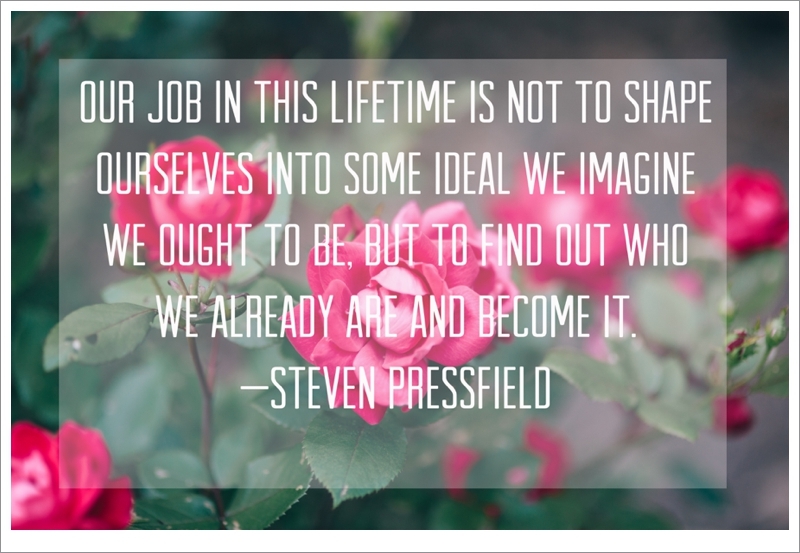 This quote by Steven Pressfield from The War of Art reminds me of the way a sculptor chisels away at a huge piece of rock to uncover the great work within. And we are the same way, aren't we? Every one of us is already equipped to become the best "us" possible. We don't have to waste time and energy trying to be like these people over here or those people over there. It's never going to happen. What you can be is YOU. And if you'll let yourself be just that, you'll be able to contribute something to this world no one else can—your masterpiece within.